This vessel is truly an impressive yacht. 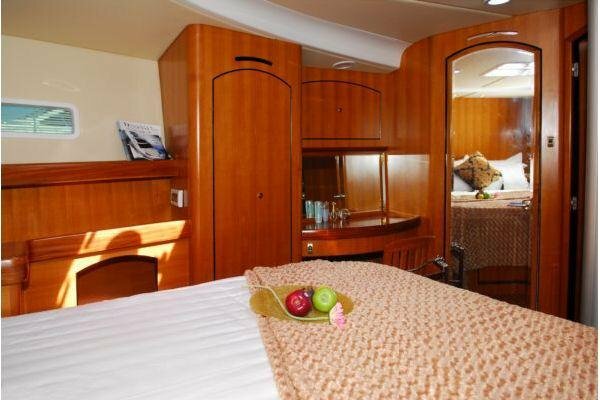 If you are looking for a live-aboard or open water passage-maker you would be doing yourself a disservice by not taking a look at this vessel. Well, Robert H Perry gave her freeboard-the boat carries it undisguised by broad contrasting colour stripes-and Stevens has used every inch of it. A quick tour through the "box" revealed two full staterooms aft, each with its private head compartment, a full navigation station, a large galley, a huge saloon sole into a virtual dancing floor, which can be lifted in four panels to reveal the machinery bay, a vast master suit forward, and a crew cabin with a pair of pipe berths in the bow. IT'S A CONDO, THE DIFFERENCE IS AN OCEAN GOING VESSEL NOT A WATER FRONT CONDO. 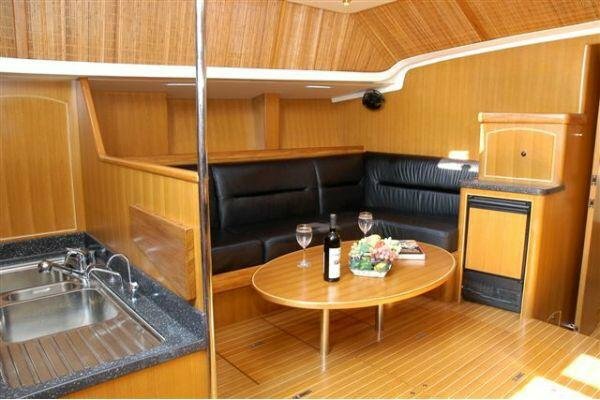 A cockpit living, Stevens knows full well that the cockpit of a cruising boat is living room. On the 53, it's simply huge. 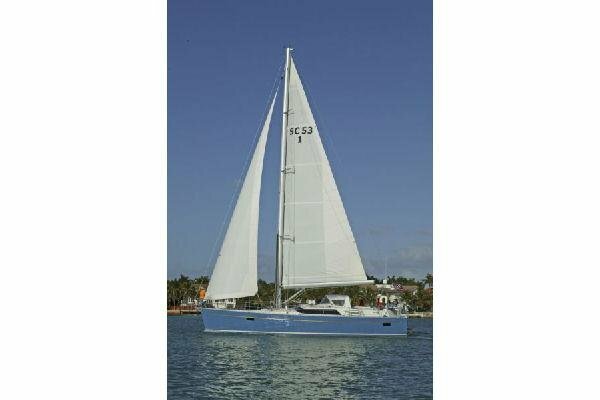 At its forward end, a molded fiberglass arch carries the mainsheet, raising out of the way, and also anchors the aft end of the dodger, creating in effect a doghouse that provides welcome shade in the tropics and protection for whomever sails the boat to reach them. 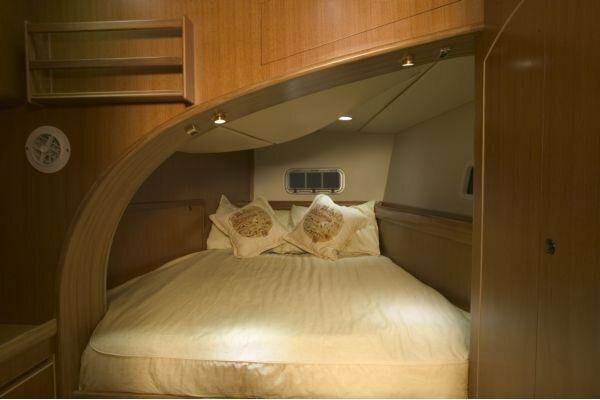 The sits are wide designed for comfort when sailing or lounging. The cockpit table is far aft that it doesn't hamper access the cockpit sole and out of the cockpit or the companionway, but it will still sit six, twin helm station complete the cockpit. Aft the helms, the cockpit sole becomes a staircase (complete with the courtesy lights for night time) leading to a swim platform. 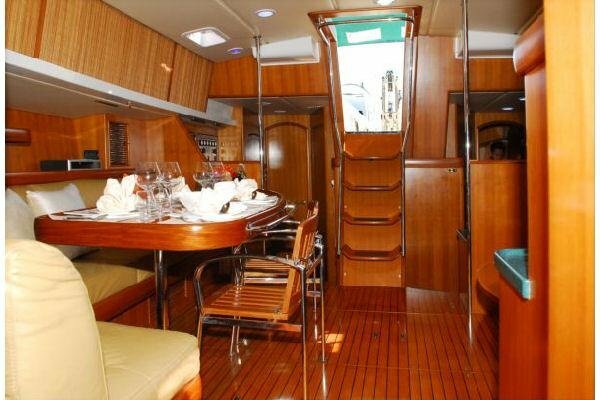 Twin fighting chairs on aft deck that fishing is to be taken seriously on this vessel. 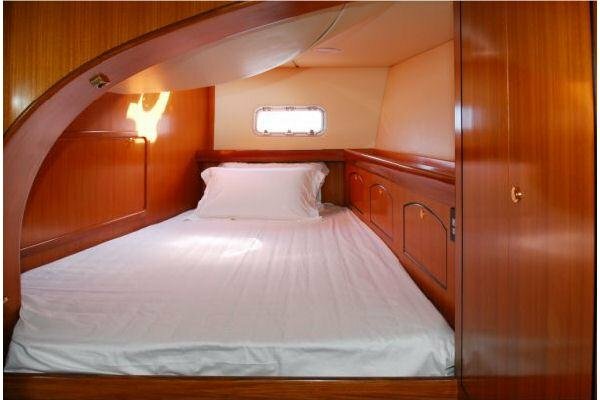 The mainsail is on a Leisure Furl in boom; the jib is a self-tacking, and asymmetric waits in its sock in the forward crew cabin. All four deck winches--two under the dodger for the main and self-tending jib and two on the cockpit coamings for the fun sail sheets----are electric. 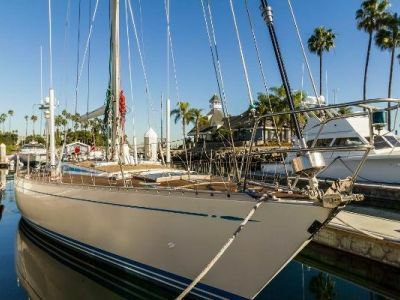 The Stevens Custom 53 is such vessel--- an uncompromising shorthanded, long-range cruising yacht designed by Robert H Perry N. A. 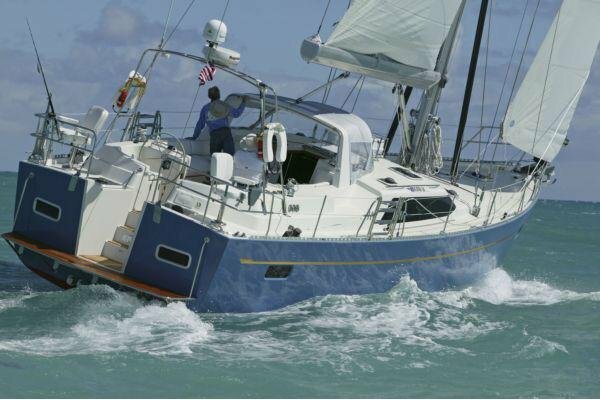 She is the result of our quest for the ultimate second home---- a modern shorthanded cruiser that is as comfortable in any part of the world as your land-locked luxury home. New Listing, details to follow!